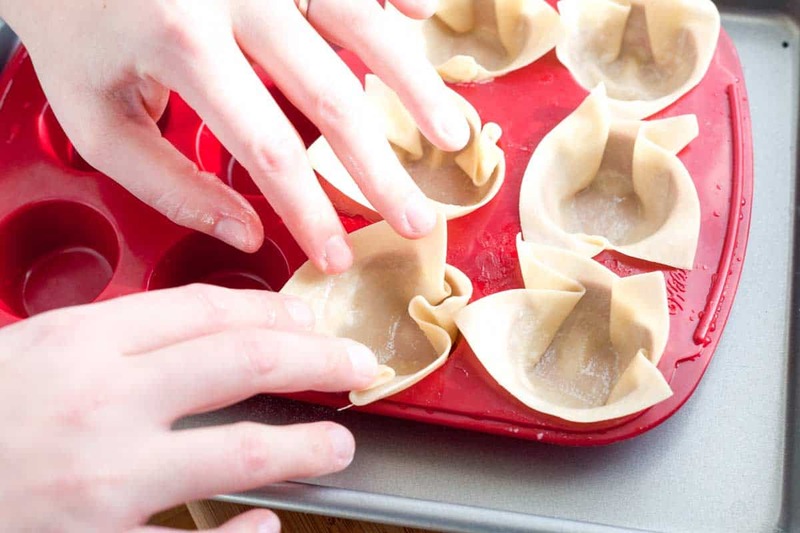 How to turn wonton wrappers into baked cups ready for your favorite ingredients. Plus two suggestions for how to fill them including smoked salmon with dill and a combination of whipped goat cheese, fig jam and walnuts. 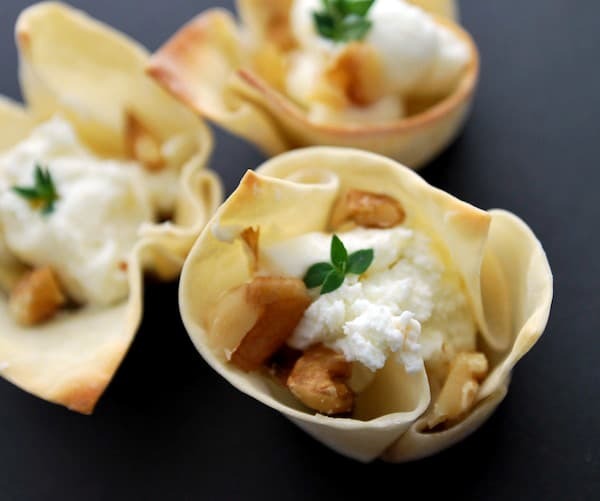 Jump to the Baked Wonton Cups Recipe or read on to see our tips for making them. Wonton wrappers are not just for dumplings anymore. 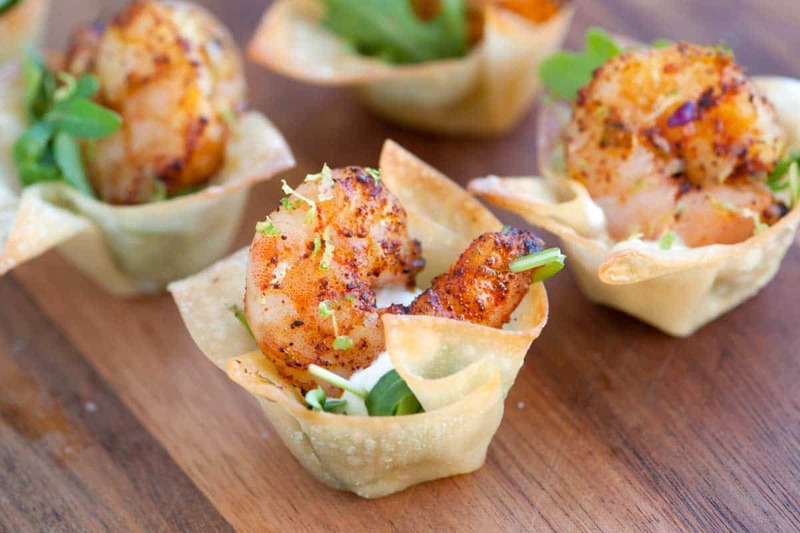 We love creating these fun and easy party appetizers using baked wonton cups as the shell. They’re perfect for a swanky cocktail party, but easy enough for a Sunday snack. It’s really easy to transform store-bought wonton wrappers into mini cups. We’ve done it for shrimp and have even turned them into mini fish tacos. To make the cups, brush wonton wrappers with a little oil then press into mini muffin cups. Bake them until golden brown and crisp. While the wontons bake, you can get the fillings ready. 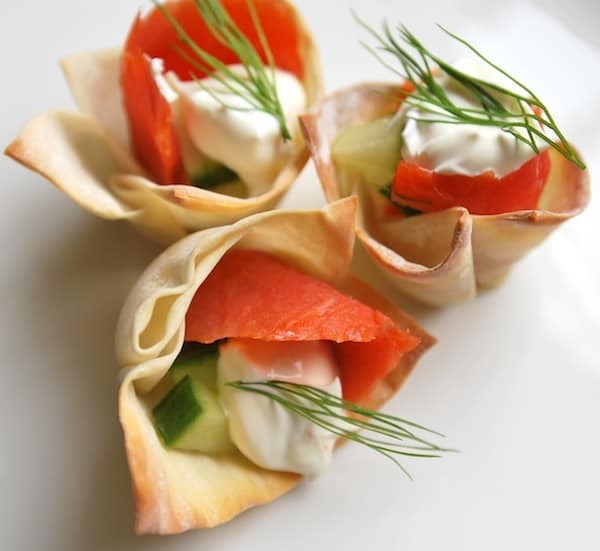 Our first suggestion is to fill wonton cups with cucumber, fresh dill, creme fraiche or sour cream and smoked salmon. The crispy cups are so light, they work perfectly with the fresh cucumber and salmon. Our second suggestion is to fill the cups with whipped goat cheese, a little fig jam, toasted walnuts and a leaf or two of fresh thyme. YOU MAY ALSO LIKE: How to make mini fish tacos made with spiced fish, a spicy chipotle slaw and baked wonton cups. 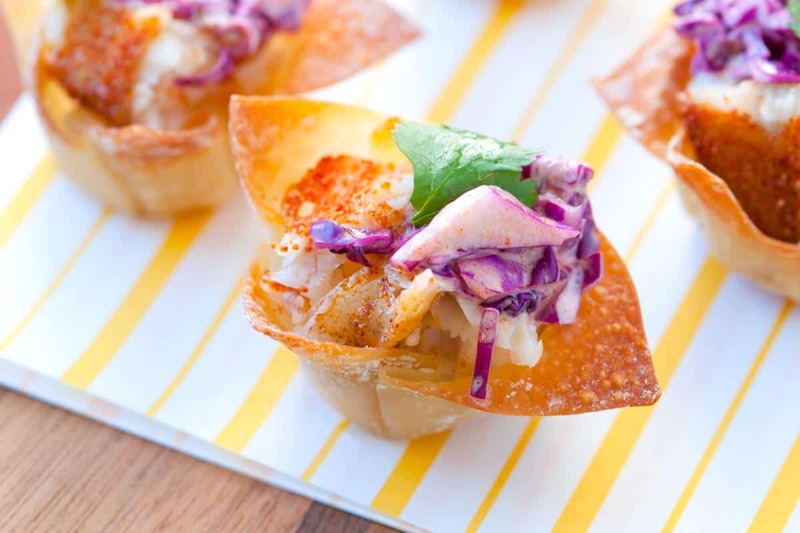 Jump to the Mini Fish Tacos in Wonton Cups Recipe. When making the wonton cups, bake a few extra wonton wrappers. As they bake, a few may close in on themselves. By baking a few extra, we make sure we still end up with enough cups for our fillings. Place a small piece of smoked salmon into each baked cup. Top with creme fraiche and cucumber then garnish with a small sprig of fresh dill. Lightly squeeze lemon over cups and serve. In a medium bowl, stir the goat cheese until smooth and slightly whipped. Divide the cheese between baked cups then top with a little jam, walnuts and a few thyme leaves. Do you think spinach dip would hold up in the wonton cups okay? 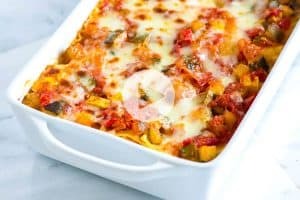 Hi Rebecca, You may want to slip a baby spinach leave underneath the dip. This would prolong the length of time the cups will stay crisp. I make a spinach artichoke with the wontons and they are a huge hit. I made these two appetizers for dinner guests last night and their honest critique was that the wonton wrapper shells were flavourless. I agree. 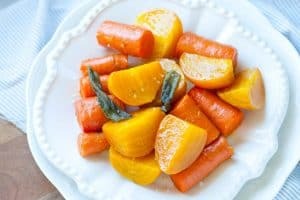 Did you omit to mention brushing them with olive oil or butter prior to baking? The fillings were good and they looked pretty. Brushing with some butter or olive oil is a great idea. You could also add some seasoning to the wrappers before baking, too. My one question, what is the hint to keeping the cups open while baking? Most of mine collapsed into the center. I thought of using shot glasses, but I didn’t think they could take the heat…or maybe baking weights? got an idea? 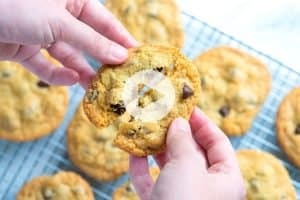 Hi there, Baking weights would work, you could also place a small piece of aluminum foil or crumpled piece of baking parchment paper into the middle since they won’t be baking long. Your idea of either crumpled aluminum foil or baking parchment worked. Today, I used the Reynolds brand that combines both of them. Easier to cut into small triangles to crumple and hold the shape. Made mini pizza cups this time for a church fellowship, pepperoni slices, a spoonful of mild salsa, and a 1/4 inch piece of mozzarella cheese stick. A little sprinkling of dried parsley completed the top. Half of the 52 cups were browned spam, salsa and cheese. So some of them got a surprise! Everyone loved them, I must make them more often, they said. If they knew how easy it was to combine. Thanks for being a springboard for ideas. I won 2nd prize with the salmon wonton cups today in my department’s contest!!! Yippeee! I lost to a vegetable pizza, but I think my won ton cups were prettier, and the salmon with the cucumber and the whipped cream cheese were delicious. the delicate dill fronds definitely made it festive. Thank you, for your inspiration. My other win was 1st place last Summer with Spam cups. I won a free t-shirt. Love your site. Thanks for giving me so much enjoyment! So pretty! I am making this appetizer to take to a party tonight and will be traveling with them. Can I cook the wontons earlier in the day and add the filling right before serving? You can make the wonton cups before your party. Just cool them before putting them in a sealable plastic bag to take with you. You should be fine to make them 3-4 hours before your party. Have a great time! oh, my my my! you guys are Awesome! figs are in season, I just caught some king salmon today and I have the feeling that the Farmer’s Market in the morning with have fresh walnuts AND a nice selection of cucumbers! Boo YA! Thanks for the idea and the great pictures. They were a hit! I like the two options together…different yet both great and complimentary…and fun to prepare. Thanks again, you came through in a pinch! Thank you for this post! I made some wonton cups yesterday ;-). Great idea! Totally making these for my cocktail party this weekend. Had 40 minutes to shop for the items, get home, and prepare. And pulled it off! Thawed the Salmon on the car dashboard with the defrost on high. Set the oven when walked in door and went to work. I fixed 2 plates of 9 in 18 minutes and they were a hit at our schools holiday party. Keep this idea! Jason – We LOVE that you used the defroster in your car!! Thanks so much for letting us know and we are so glad everything worked out well … plus, we will forever have the image of someone driving by with salmon defrosting on their dashboard! What a great idea! I love these for Christmas hors d’oeuvres… and so versatile! Thank you 🙂 And thanks again for the tasty kitchen mention! Caught this on Tastespotting and had to hop over. So cute! I’ve made sweets like this using a layer of thinly-rolled brioche dough, but never thought about something as simple as wonton wrappers. Maybe tortillas would work for mini taco? Stacy, rolled brioche dough is a great idea, we are planning to try that one soon! I bet tortillas would work really well for mini tacos or maybe we could even try the wonton wrappers again, but skip the pre-bake, just add ingredients to the wrappers (maybe beans and a little cheese) and then bake everything in the oven at once. Darn, I just tossed a package of won ton wrappers. These look delicious. Hope your holiday was very merry. I love the simplicity, and they are so pretty. Delicious!